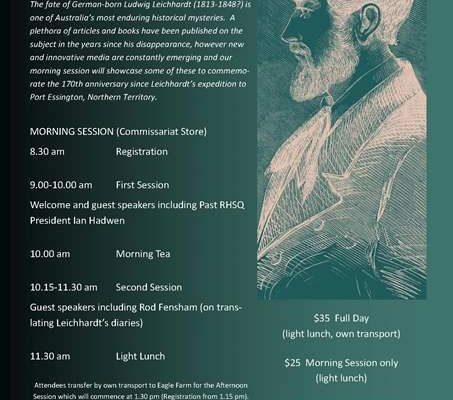 The Royal Historical Society of Queensland is preparing for our annual history seminar, to be held on Saturday June 21 2014. 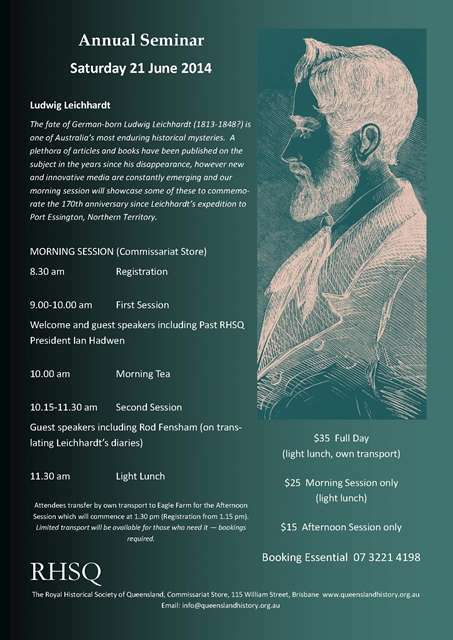 “Leichhardt in the 21st Century” will be held during the morning of 21st June, at the Commissariat Store and an Archaeological excavation, site inspection and accompanying lectures, will be held in the afternoon, from 1pm – 4pm at the Schneider Lecture Theatre, Trade Coast Central, Schneider Road, Eagle Farm. Map and more information will be available closer to the time. Transport available. Download the flyer and programme of events here. To register your attendance please contact the Commissariat Store.